The refunds manager services offered through various companies help businesses get money back from wrongful returns. This is particularly beneficial for people that own an Amazon seller business. Amazon manages all refunds for their sellers. There is no way for you to know whether or not the returns they are granting customers are actually legitimate and deserving of a full refund. With a refunds manager, you can make sure that your business is not losing money where it should not be. Find out the advantages refunds management services provide Amazon sellers like you in the post below. With top refunds management services, you get access to reimbursed funds in as little as two days. This can be a great help for small businesses like yours. Often, it can be hard to manage cash flow and make ends meet each month when you own an Amazon store, even if you do use a top accounting software. The quicker you have access to the reimbursed return funds you are entitled to, the better. If you were to attempt to get returns reimbursed yourself, the whole Amazon reimbursement claims process would take much longer. The quick access to reimbursed cash is a huge benefit afforded to those Amazon sellers who use a refunds manager. Amazon refunds manager services search for all different types of returns discrepancies. They check for all different types of errors and problems that could happen during the Amazon returns process. This includes when items are lost or damaged in the Amazon warehouse or during their delivery process. It also includes occurrences where customers received larger refunds than they were due. In fact, there are many, many different types of errors and issues that refunds management services regularly check for. These refunds discrepancies cost your business money, so these searches will help your business save money whenever it is possible. These refund manager solutions ensure compliance with Amazon refunds policy. The Amazon returns policy is hard to figure out on your own for every single time you think there is a problem with a return. When you use a refunds manager, you have the help of an expert. These companies know Amazon policies front and back and inside out. This way, they can use that knowledge to protect your business. They will capitalize on every possible return refund they can, while still making sure to follow compliance guidelines. This way, you business never has to worry about getting banned from the Amazon seller platform. This is a considerable benefit that you certainly could not guarantee if you did it on your own. These Amazon refund services are actually very affordable for Amazon shop owners too. This is a huge surprise to many sellers. But, it is true. Amazon refund managers typically take a commission from the returns settlement you get. The company usually takes around 25% of any Amazon refunds you get thanks to their service. That means that if they do not get you a refund, you do not have to pay them. This is an exceptional benefit that allows you to take advantage of these excellent services without having to rework your business budget to find room for the additional expenses and still pay for your Yellow Box shipment. The affordability of Amazon refund manager businesses is a considerable benefit to capitalize on for your shop’s financial health. 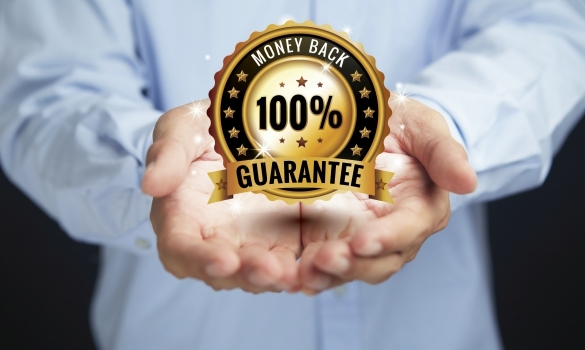 Refunds management solutions give business owners like you more time to make more money. Instead of having to focus your efforts on getting refunds for an Amazon returns issue, wasting hours in the process, you can have someone else do it for you. This saves you a ton of time. That way, you can then spend those hours on more important operations that actually make your business money. Even though you are saving time not searching for discrepancies and filing claims with Amazon yourself, you are still making money back from your refunds. So in addition to having more hours to dedicate to making more money, you will also be making money from refunds without all the work. The time and money afforded to Amazon sellers by these refunds solutions is a huge advantage that other Amazon sellers do not have. That is why you should certainly consider capitalizing on its availability. If you are an Amazon seller, the Amazon returns process can be a huge drain of resources on your business finances. Thankfully, there are ways to find out about returns problems with Amazon to make sure you get a refund when your business deserves one. These Amazon refunds manager services are some of the greatest tools to have in your shop manager arsenal. They provide a whole slew of benefits to your Amazon seller business, discussed in detail above. Consider these advantages to help you determine whether or not Amazon refunds management services are worth trying out. They could greatly impact your business performance and profits for the better, and even help you navigate the infamous Christmas downturn.